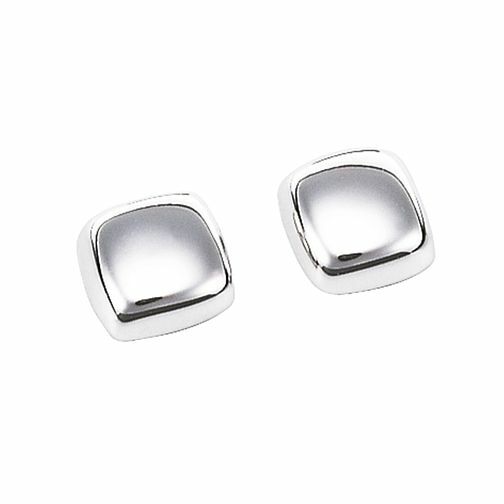 Crafted in 9ct white gold, these lovely stud earrings are a soft square shape. A lovely simple pair of earrings for when you want a subtle look. 9ct white gold cube earrings is rated 4.3 out of 5 by 3. Rated 4 out of 5 by Tim21 from Simple and elegant design They have a simple and elegant design. The only slight issue was that the fastening was a bit loose, and had to be replaced with a tighter one.